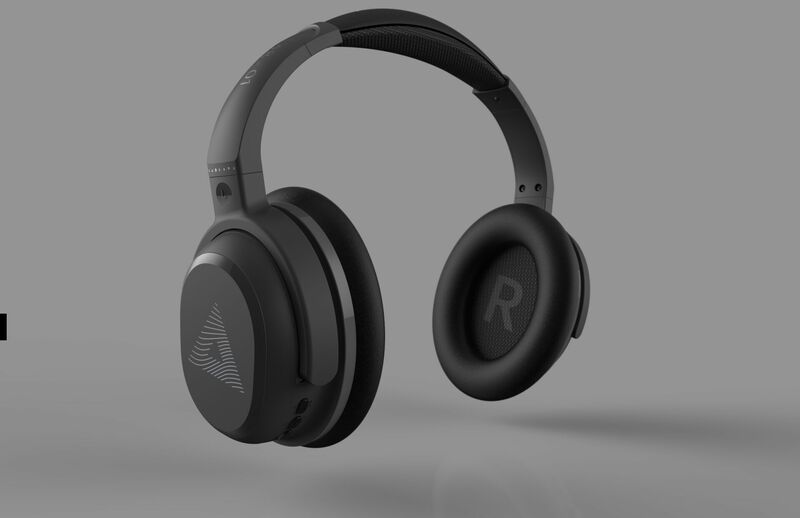 Audeara, the world’s first full fidelity headphones with an in built hearing test to protect users ears, delivering a supreme, catered sound like no other headphone, is currently live on Kickstarter. An instant hit, it reached its funding target within the first 15 hours and has now more than doubled its original target! Everyone has a degree of hearing loss. Not just as a result of every loud gig they’ve been to, every busy street they’ve walked down, or every police siren that’s ever gone past but also damage can be sustained purely by listening to their headphones too loud. More and more young people have some loss of hearing, an increasing number with the same hearing health aged 30 that people would usually associate with a 60 year old. Audeara headphones can be used to test and retest hearing over a lifetime and adapt music to the users’ individual needs. They make music better, not louder, and provide perfect sound, always. The first time the headphones are worn, the user undertakes a hearing test – the results of which, are subsequently stored in the headphones themselves. The headphones use this hearing profile to adjust the sound signal as it passes through them. They adjust the right ear differently from the left, making sure each part of the signal reaches the user’s brain in a way that’s heard as a perfect reflection of the intended signal. What makes the Audeara headphones especially powerful is that all the technology is inside the headphones themselves. After the first test, the app isn’t required again unless the user wants to retest. This means headphones are no longer passive magnets for signal conversion, instead, they’re sophisticated tools for personalised sound reproduction. Audeara headphones use a software interface from a smartphone application to send Bluetooth commands to the on-board printed circuit board (PCB). This allows the headphones themselves to generate the tones and maintains consistency across all Bluetooth devices. The headphones are calibrated and the profile is used as the baseline for accurate audiogram testing. After the user performs the audiogram, a modulation table is applied. This adjusts all incoming musical signals to the user’s requirements. Using an attenuation model, rather than increasing gain, ensures maximisation of the overall signal intensity, without distortion. With the modulation table stored in the on-board PCB, the user only has to test once for the headphones to apply that table to any Bluetooth signal source. The user can, however, test multiple times, and the software application stores numerous profiles that are then uploaded and stored as the active profile. The result of the audiogram is displayed for the user, perfect for long-term tracking of any hearing loss, and also as an educational tool in preventing long-term hearing impairment. If the user’s hearing profile shows significant impairment an alert will be shown, which suggests they seek more specialist advice and analysis. Adjustable headband and soft over-ear cushion. Rotatable design for easy storage in a slim, hard carry case when traveling. Built-in lithium-ion battery, rechargeable via Micro-USB jack. The headphones can be used as a common wired headphone with 3.5mm port. Advanced, active noise cancelling design effectively reduces noise by up to 85%.